So, if you’re often renaming folders, check out the new version. As always, updates are free. Please visit the homepage of our file sync software for more information and downloads. We’re running a promotion on our logo designer software. For a short time, you’ll get a stunning 75% discount on both Editions. Try the Demo Edition now! If you’re searching for duplicates across folder boundaries, you can now configure which folder should keep its versions. Yes, we *finally* included a help file! 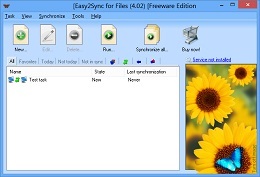 Please click on Easy2Sync for Outlook to get the new version. 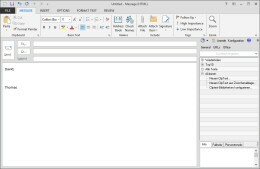 A new version of out Outlook Textmodule tool ReplyButler is out. And, beware, it looks very different now. We’ve ade some major changes in the user interface to make it easier and faster to reach the text modules that you need for your helpdesk work! Apart from making it easier to search for the right text module, the program automatically shows possible matching text candidates whenever you answer an e-mail in Outlook. This will help you answer mails in less time. Give it a try and download the new ReplyButler version! A new version of 1-Click Duplicate Delete for Outlook is out now. The main improvements are in the better merging of contacts. Contacts are an amazing thing. Every time we think, we’ve covered everything, some detail appears. 😉 Bottom line is: The new version can detect more duplicates, will suggest the appropiate steps automatically and do a better job of merging them. Get the duplicate remover now.